More Twitter accounts seem like they’re being hacked. 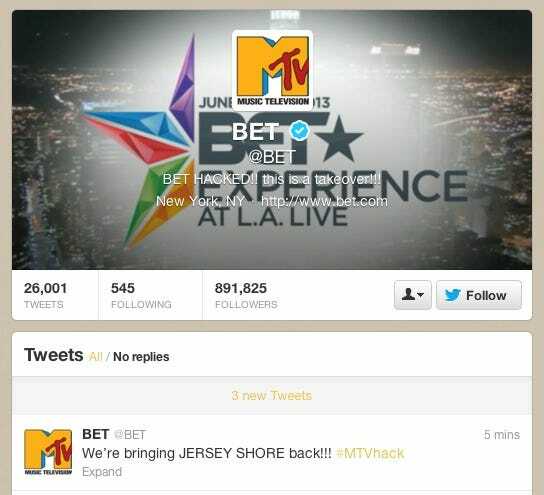 Now, MTV and BET have fallen victim, apparently. Or it could just be a pretty smart marketing stunt. Both MTV and BET are owned by Viacom and neither of them are tweeting anything too nutty. 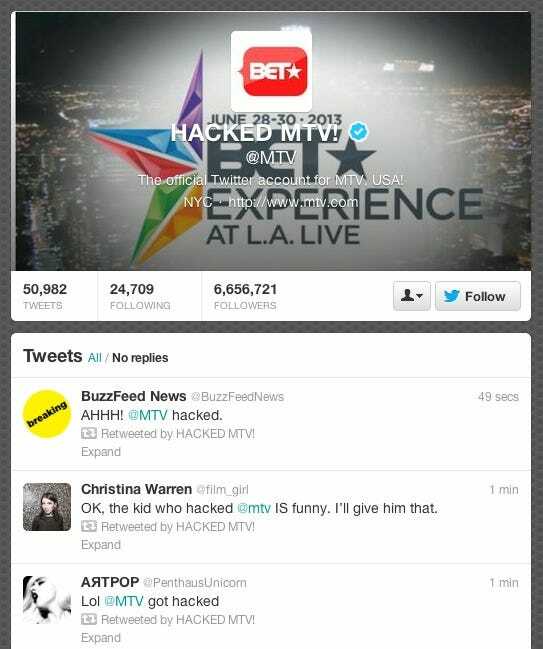 Oh, and the MTV account is using a conveniently tame and branded hashtag #MTVhack. We’ll try to get to the bottom of it.